Casualty (PERS-13) prior to attending the brief. o Make copies of the DD-1300 as needed. 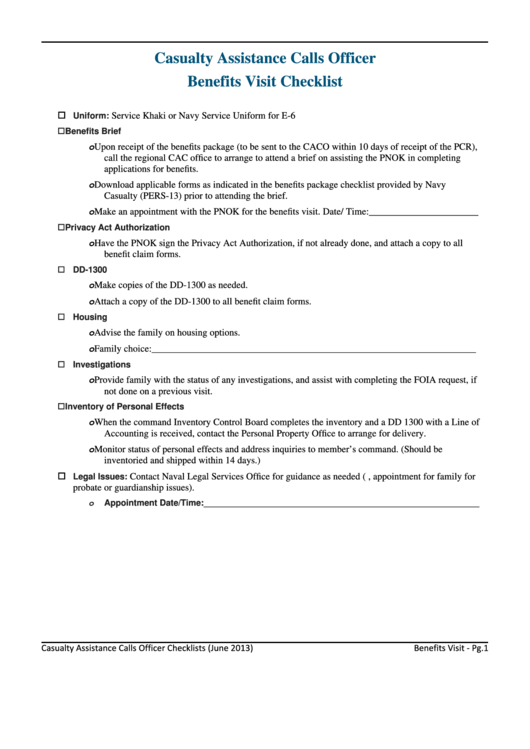 o Attach a copy of the DD-1300 to all benefit claim forms. o Advise the family on housing options. not done on a previous visit. Accounting is received, contact the Personal Property Office to arrange for delivery.